Our family comes from Grambergen near Osnabrück in Lower Saxony, Germany. We have been living there at least for 400 years. New picture of the farm! Grambergen is a little town with about 300 inhabitants. 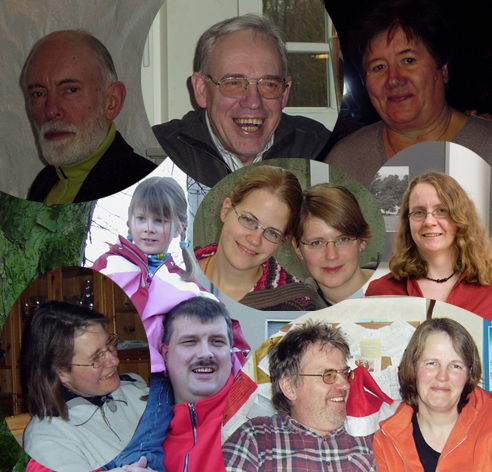 Today, seven people are living here (in Germany) that are nee Waldmanns. But we are still going on with our family research, so maybe we find more. There is a branch of our family in America, too. Christoph Waldmann emigrated to the States in 1866 and settled four years later in Stitzer, Grant County, Wisconsin. You will find plenty of information about the history of our family on this homepage. Information about living persons are only available if they gave their permission to publish them (This is also a signal of noise for those who want to be found on these pages, do tell me what they would like to see here). This web site is in English! I am not responsible for the contents of homepages I insert a link in my hompage (with one exception: Tapio).